Born in Plymouth England, John Kitto was a sickly child, son of a Cornish stonemason. The drunkenness of his father and the poverty of his family meant that much of his childhood was spent in the workhouse. He had no more than three years of erratic and interrupted education. At the age of twelve John Kitto fell on his head from a rooftop, and became totally and permanently deaf. As a young man he suffered further tragedies, disappointments and much loneliness. His height was 4 ft 8 in, and his accident left him with an impaired sense of balance. He found consolation in browsing at bookstalls and reading any books that came his way. From these hardships he was rescued by friends who became aware of his mental abilities and encouraged him to write topical articles for local newspapers, arranging eventually for him to work as an assistant in a local library. Here he continued to educate himself. From a Christian benefactor Kitto had opportunity to travel and continue his education. A London publisher asked Kitto to write up his travel journals for a series of articles in the Penny Magazine, a publication read at that time by a million people in Britain. Other writing projects followed as readers enquired about his experiences in the East amidst people living in circumstances closely resembling those of Bible times. In his generation Dr. Kitto was a most significant contributor to Christian scholarship, and he provided much help for Evangelicals defending the Bible against the attack of liberal critics. He eventually wrote a total of twenty-three books, of which Charles Spurgeon considered the Daily Bible Illustrations to be "more interesting than any novel that was ever written, and as instructive as the heaviest theology." Kitto's Pictorial Bible and Cyclopaedia of Biblical Literature held, for almost a century, a unique and valued place on the academic library shelf, and his Daily Bible Illustrations encouraged the faith of readers of all ages and backgrounds. Kitto was only 49 years old when he died, but he left behind a great amout of valuable material that is oft quoted to this day. 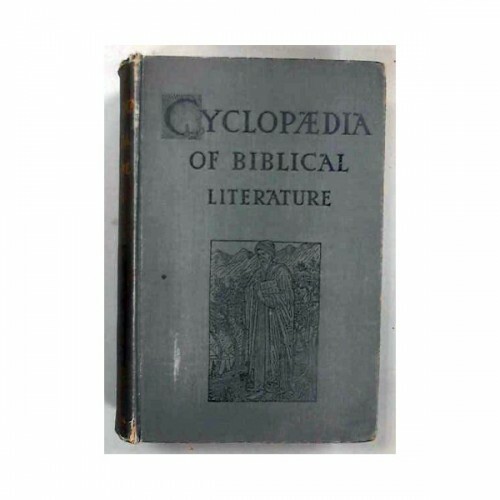 Kitto's Cyclopedia of Biblical Literature was the first dictionary or encyclopedia to have multiple authors authoring separate entries. It is an often quoted resource by later dictionaries such as the ISBE. The Bible Analyzer edition introduces cross-topic links as well as over 350 images found in the printed edition. As Spurgeon said, Daily Bible Illustrations is a wealth of material. With over 800 topics Kitto goes through the Bible and makes interesting remarks on key events from the perspective of Sacred History, Biography, Geography, Antiquities, And Theology. He says his remarks are "Especially Designed For The Family Circle."